A friend of mine gave me this panel to use for a charity quilt. When she gave it to me, I thought, well that’s sweet, and stuffed it away for later. I didn’t really look that close at it. While pulling out fabrics for donation quilts, I ran across it again, and figured it was time to get it quilted up for a charity. So, I pulled some backing fabric, and loaded it on the longarm. While I was loading it, I noticed the S block had a sheep. Well sure it does. 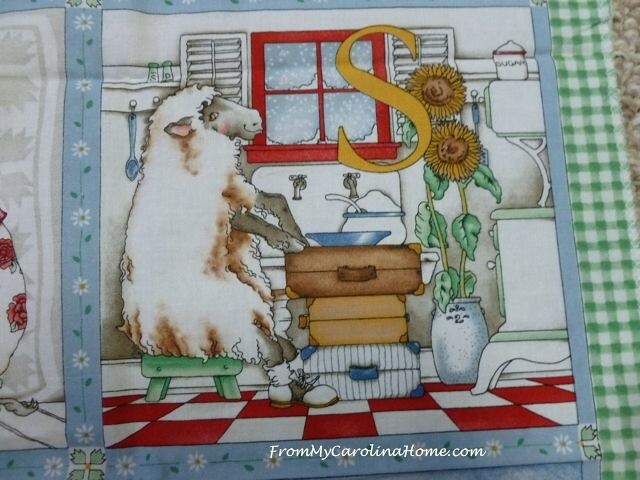 Oh, but wait, the sheep has a Sunflower. And it is sitting on a Stool! Isn’t that cute! I kept looking at it, and found 17 items that start with an S in the block. Want a little puzzle for a Sunday? Can you find 17? Well, now I have to look at a few other blocks, like the Alligator eating Apples. Oh, look, he’s wearing Argyle! I only found five A words in this one. The Moose has Muffins and is toasting Marshmallows. I found ten M words in this block, can you find them? I cannot figure out the Native American design blankets though, what could those be that start with M? Do you know? 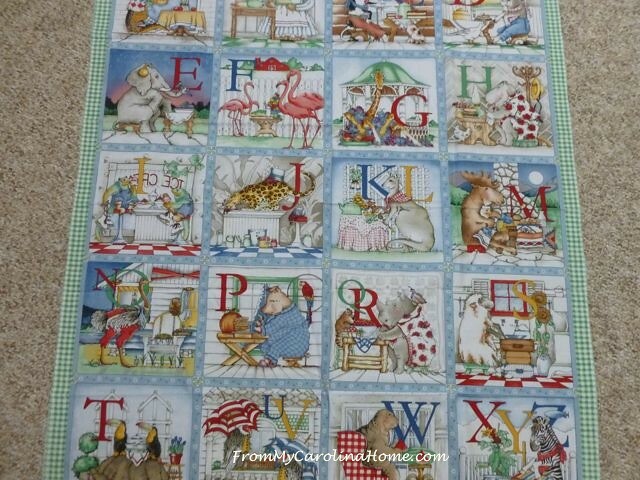 The panel is called Hungry Animal Alphabet from Quilting Treasures, and I tried to track it down. I really think this is just so stinkin’ cute, and would love to do a bunch of them for the local kids. But, alas, it is discontinued. There is a new one with red borders, but it is only available at full retail in a few online stores. That would be OK if I wanted one for a treasured family member, but too expensive for charity quilts. The manufacturer doesn’t have any more, so there isn’t a way to do a bulk wholesale order. My favorite online retailers are sold out, and the LQS doesn’t have it. I do wish that fabric companies would keep producing things as cute as this for more than one production run. This is a timeless design! Oh, well. I loaded it on the longarm with the remnant of the wool batting from quilting Scrap Dance Waltz. 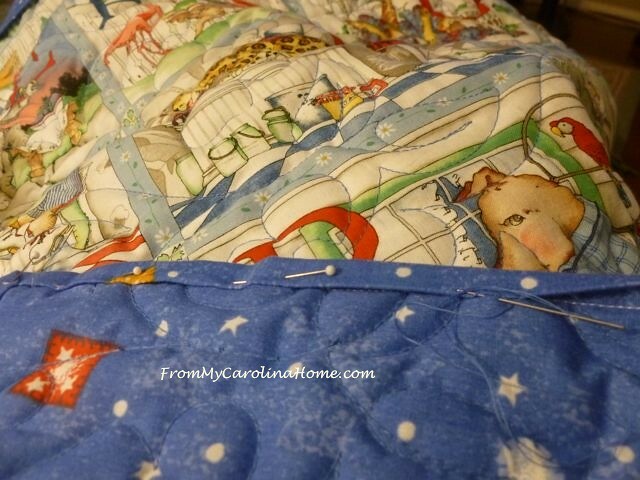 I will be pinning a label on the quilt to be sure the recipient knows it isn’t a flame retardant batting. Quilting it with a pantograph from top to bottom, it was easier to deal with the higher loft than on the Waltz quilt where I did the borders first. but, when I got it finished, I realized that using that batting on this quilt was a mistake. The higher loft makes it more difficult to see the detail in the blocks. Some handwork on Sunday to finish off the binding and it was finished. I ironed it, and that helped a bit, but it would have been better to use cotton for this. It is done, though, and will be donated to a charity soon. What are you working on? Did you find 17 items in the S block? What are those blankets on the M block? That quilt is definitely a treasure! Thanks for sharing it…it was fun looking for all the words…ha…and some little child will be so fortunate to have this. Yesterday I quilted another guild donation quilt, pieced (badly) by someone else. I have one more of those and then plan to take a break until after the middle of the year. Sometimes it takes a second or third look to see the wonderful designs in material. 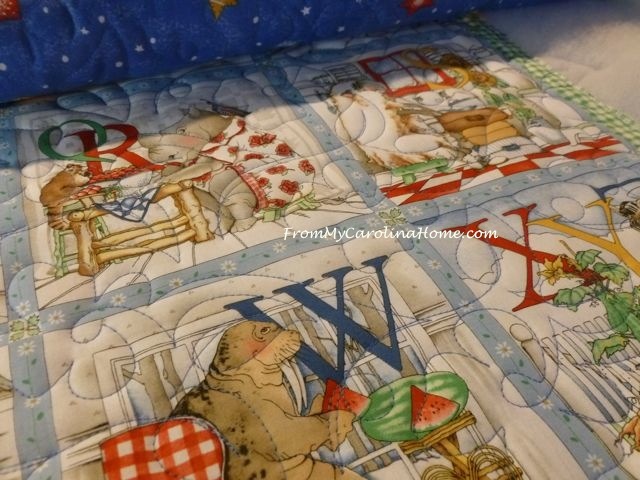 Wonderful quilt which will make some special child swoon. Maybe it’s a Mohave print on the Moose’s blanket. Loved looking at these panels. 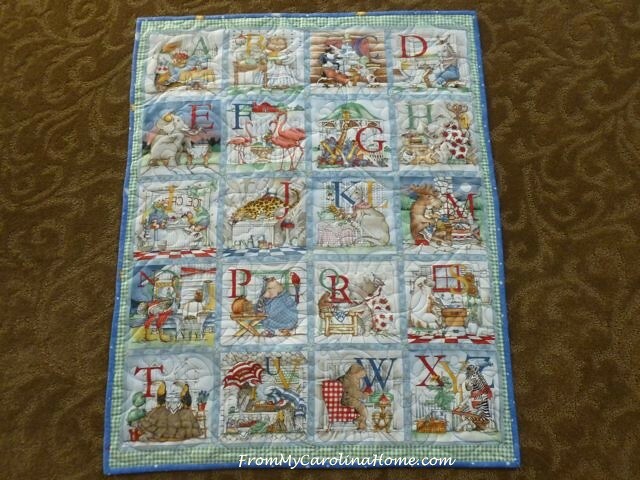 What a cute quilt to help the young ones learn their alphabet and have a treasure to keep. I have saved a lot of coloring books for inspiration and the big pictures are great for picking out blocks for quilting a theme like a light house, boats, fishing from a boat, and other things associated with different themes, it makes it a little easier to come up with something for a boy and then of course there is themes of dogs, cats, birds, and butterflies. I just heard a whoot owl this morning for the first time in months.I have a vacant lot next to me and there are several dead trees in it so they have made a home in one of them, its good to hear them again. I collected owls for a good many years when my boys were in elementary school and their mascot was a beautiful white owl. 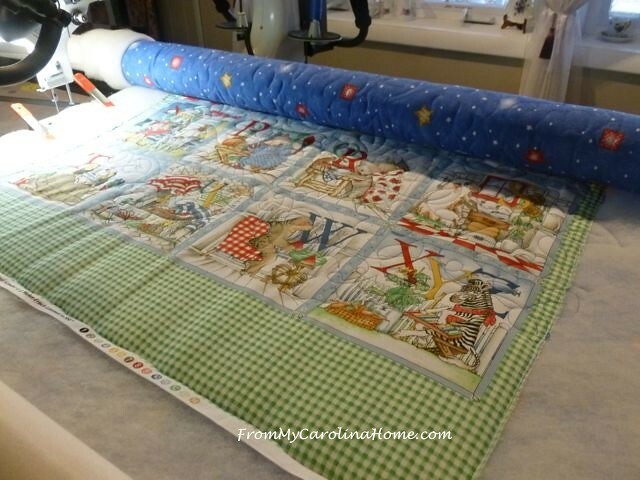 Got to get some packages ready for the mail tomorrow so have fun with the Linus quilting. That panel is the most clever thing!!! Delightful quilt. Love it! I’ve never made a panel quilt before but am inspired now! 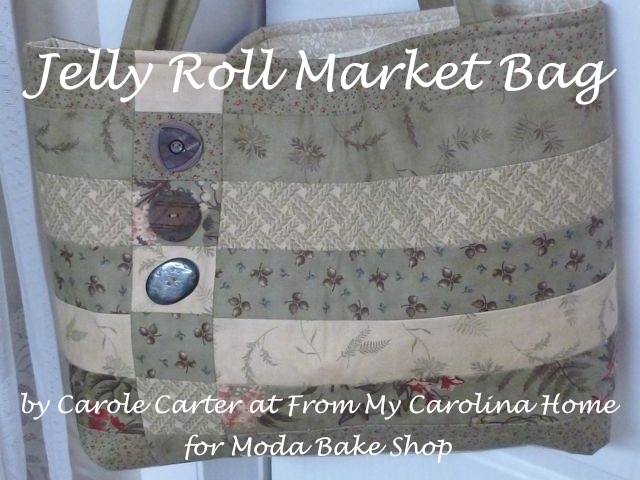 Do you use use yardage of 45″ cotton for the backing? 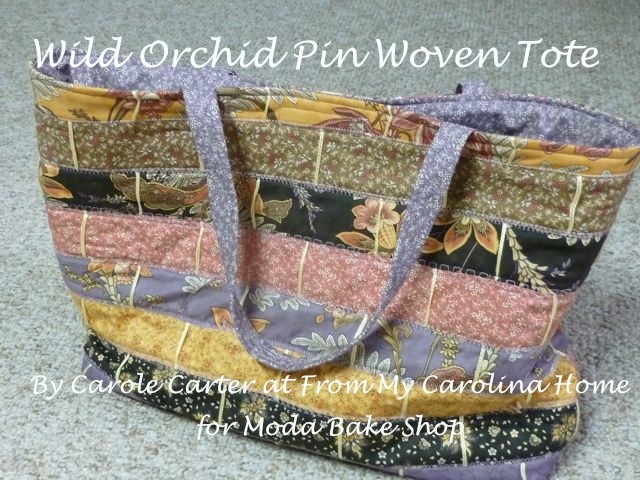 Or, do you use an extra wide fabric? What an adorable quilt. The fabric sure is cute. ‘Wish it were still available. I think the high loft batting looks fine, but know what you mean. The lower loft is what I use most of the time. On the “M” square maybe it is a mosaic they are trying to show along with the stone masonry. Just a thought. What a wonderful panel. Such a pity that it is no longer available. Love how you have quilted it. 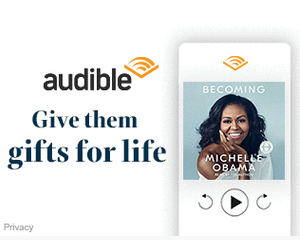 Good job, maybe you would have enough influence with a manufacturer to design another. Little ones would love this. An adorable quilt for sure!!! I love this panel! Keepsake Quilting had them on sale several years ago and I made 3 for great-nieces. Both mothers said they quietly thanked me every time their girls got those quilts out because of the silence that followed. I made them larger by using Terry Atkinson’s Yellow Brick Road pattern with 6 fat quarters. It made a great border and the girls got another year or two of snuggling. Keepsake Quilting doesn’t seem to have any left, but it might be worth a phone call to see if they have a hidden stash of clearance items. Some lucky child will be entertained for hours with your quilt! 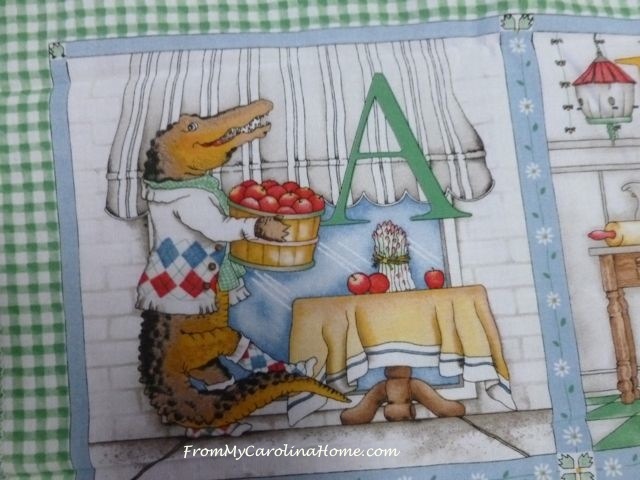 The alligator is wearing an ascot! That makes six! I remember the panel. The graphics are done really well. What a treasure!! Maybe if enough quilters responded, some company could produce more. Would be fun to check out each letter to see what could be discovered. Certainly would keep both big and little people busy for hours. I had fun!! Thank you for sharing this. I don’t know about the blanket. I see 16 words: sheep, shutters, spoon, stool, shoe, suitcase, snow, sunflower, soup tureen, stove, salt, sink, shelf, sock, letter S which probably doesn’t count, sugar, and spatula. Is the floor something? I have that same panel but it is not quilted yet. So much fun looking for all the objects for each letter. Your quilting looks great. Have fun getting that binding done. THAT is simply ADORABLE!! I wish that panel was still available. You did a beautiful job on quilting it. What a fun quilt for a little one! I have finished two charity quilts and must start on my BOMs for my local quilt shop which meets next week. Is the floor made of “stone” in the S block? The moose blanket could be motifs. Nice fabric! And, yes, as much as I love using wool batting, there have been a couple of quilts that should have been quilted with something else. Your trials and comments are so helpful, Carole. Thanks for sharing all your successes and “errors” although I don’t consider any errors, just “let see how this works” on various projects. So helpful to the rest of us out here. :o) I’m putting the binding on a small Valentine’s Day wall hanging to hang in the dining room, just in time for our Valentine’s Day dinner! Will leave it up in February. Beautiful, and just maybe someone else will read this and find a source for another panel, Gorgeous. These panels actually started as a wallpaper border pattern! The only way I know this is because the wallpaper was in one of the exam rooms in our pediatrician’s office. We spent MANY, MANY moments in that room searching for items for each letter. We were so sad the day we walked in and found that the rooms had been updated and the wallpaper was gone!! Shortly after that, the fabric panel was produced and I had a terrible time finding one. I currently have only one panel and plan to make a quilt to give to the pediatrician for her 25 years of taking such wonderful care of my children!! Hello Carole! Sure have missed you and all of your wonderful posts. This is a spectacular panel and very sad that it is not available any longer. I am glad that you remembered it and shared it. I have always loved the poofy battings. Yet, I have never attempted anything detailed in quilting besides outlining the blocks. So I do see what you are talking about. 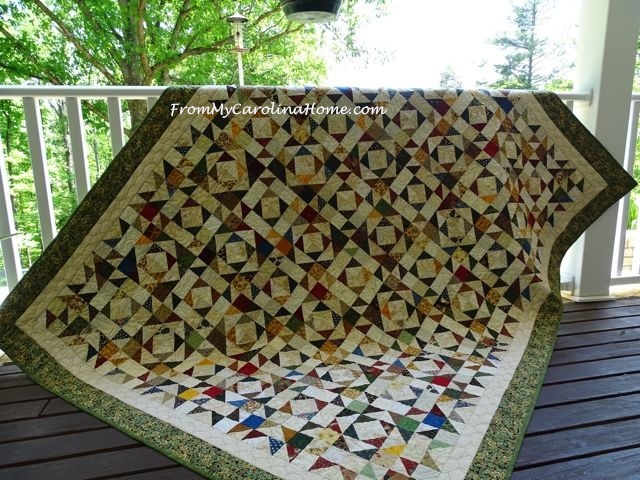 It is still a very special quilt with love in the quilting! That is all that matters! Have a great day! Didn’t find all 17 items with the sheep. But I wondered if the Alligator block had an AMBER colored tablecloth. Such a cute quilt! Enjoy your binding today! I found the 17 or is it 18? The shoes are saddle shoes, so does that count as two? Or 19? The salt is in a shaker. Is that two? Too bad the panel doesn’t come with rules. It really is adorable and I agree that companies should not discontinue wonderful fabric like this that is indeed timeless. I just found another one. The sunflowers each have a “smile”! Okay, I have to quit this and go get something done. I’ve decided to break my year-long moratorium on One Block Wonder quilts and I’m planning on putting one with all the half-hexagons already sewn up on my design wall. You did much, much better with your alphabet than I did. I didn’t find many items matching the letter. This was certainly a fun post, though. That’s a great panel! I did well with the S-words and the A, but not so well with the M block. That’s a wonderful panel. I remember seeing it when it came out, but never looked closely enough to see what a learning tool it was. Great panel for a child. I would have “chopped it up” and made into a fabric book! Old panels are interesting. I just pulled a “horse panel” and coordinating fabric and will be mailing off to oneblockwonderwoman this morning. She is doing “western themed” quilts for a charity auction and the tags from 2006 were STILL on the fabric. Doesn’t appear as I will be using it anytime soon, and she has a great purpose. It is fun to dig through the fabric bins sometimes. 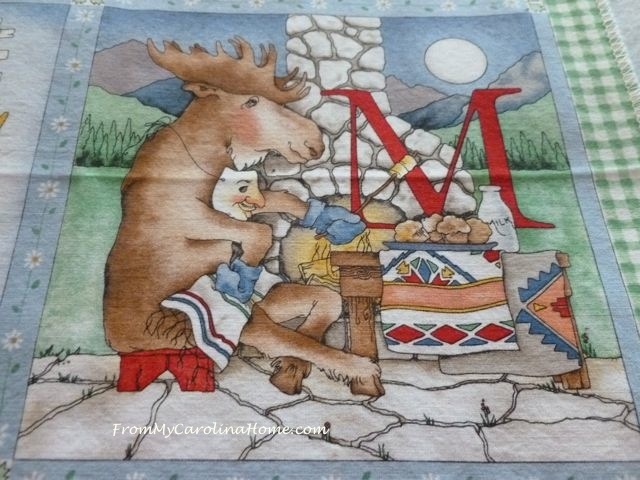 Could the pattern on the quilt on the left in the Moose photo be Fire on the Mountain? I’m not very well versed on the names of patterns. That has to be the cutest panel I have ever seen. 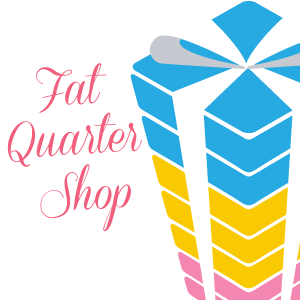 I went online and found the red-bordered one available at Missouri Star, ordered it and coordinating fabric for the back. It will stay at my house for when my grandchildren visit… Thanks so much for this post, I would never have seen it otherwise… Such a sweet design; I agree, timeless designs like this should not be discontinued. 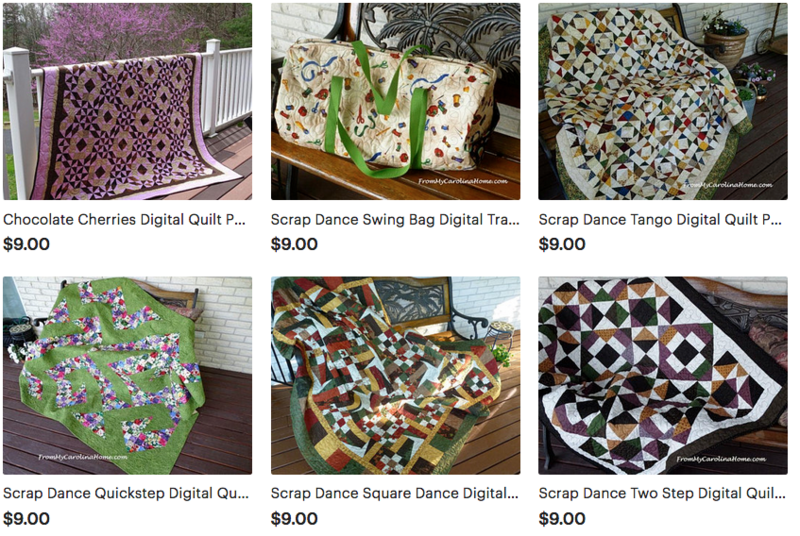 I have made many of these quilts as gifts. It is about 10 years old I think. I bought a bolt when I found it. I also bought a bolt of the fabric to back it, which is now gone. Then I found cloth books, they have different pictures, I made them for my husband to give to young patients when they would have to spend the night at the clinic where he worked. I still have a some of both. I have always made it a little wider with two boarders and pinwheels in the corner. I believe I found the original at Connecting Threads when they were still local. So maybe it is longer than 10 years. I am trying to think of the designers name. She has a website that I have visited before. I am about to make another one for a gift needed in May. What a fun fabric. Some lucky child is going to have the best fun finding all the things that start with each letter. 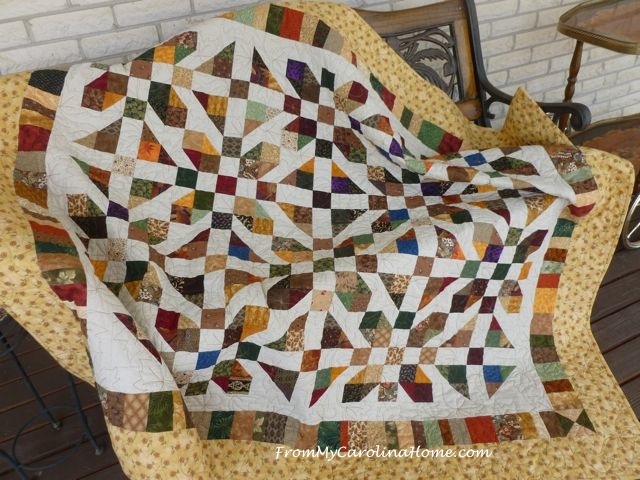 LOVE this quilt, Carole. That is the cutest darn quilt! I might make it for my grandsons if I could lay my hands on it. You said there were some web-sijtes that did carry it, but they were too expensive. Do you remember which sites and could you let me know? Some lucky kid will absolutely love getting that quilt! That is such a clever fabric and obviously fun for every age group, since we all had such a good time looking at it and figuring it out! The tip about thicker padding making some details on a printed fabric more elusive is a good one to remember, although it still looks great – we’re our own worst critics, as always, thinking how we could have done something “better” when it’s absolutely fine. Your beautiful alphabet quilt is going to provide ongoing fun for the lucky recipient. I used this panel in 2008 to make my newborn grandson a wall hanging. We spent many hours talking about the animals and all the things in each square. He loves that quilt and wants to “keep it forever”!! Thanks for bringing back sweet memories. The designer of the fabric line is J. Wecker Frisch. Very cute. I can just see a game of ‘I spy with my little eye’ trying to come up with the words that start with the respective letters. This is a fun quilt for anyone. Looking for the words that begin with a given letter of the alphabet will give hours of fun. I’ve only found 10 of the ‘S’ words so far.